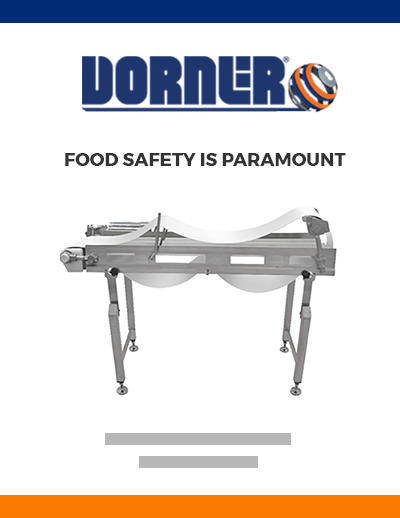 Dorner’s commitment to food safety can be found in our AquaGard & AquaPruf sanitary conveyors, which are engineered to promote a hygienic design while meeting industry regulations. Our five-step approach toward food safety helps you improve food hygiene standards and increase your OEE. Our Food Safety white paper discusses how these five attributes come together to deliver a superior level of sanitation and performance. Fill out the form to receive your copy.